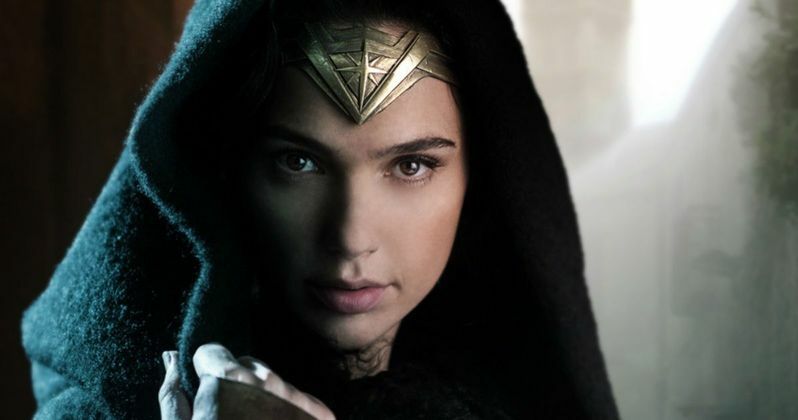 What Is Wonder Woman's Job in Batman v Superman? With Batman v Superman: Dawn of Justice hitting theaters in just a few weeks, many are wondering how large a role Gal Gadot's Wonder Woman has in this highly-anticipated superhero adventure. Warner Bros. has already started showing the movie to a handful of select individuals, and a report from earlier this week claimed that Wonder Woman is the "break-out star" of the movie. Today, we have new details thanks to a merchandise photo posted by Wonder Woman Brazil, which reveals what Wonder Woman's actual job is on Earth, when she's not in her Amazonian warrior gear. Take a look at the description of a Wonder Woman bust that offers more details about this heroine. "The world's first and foremost female Super Hero, Wonder Woman at once embodies the unrivaled force and supreme grace of a born warrior, and the genuine compassion and understanding of a true humanitarian. As a symbol of equality, power, and truth, her natural confidence and unmistakable intelligence make her an unequalled, if unexpected, ally. The immortal Amazonian Princess Diana keeps her eyes and ears open for intrigue as the beautiful and mysterious antiquities dealer, Diana Prince." While we've only seen bits and pieces of footage with Gal Gadot's character thus far, we have seen a few instances of the character in civilian clothes, including scenes where she's with Bruce Wayne (Ben Affleck). Her job as an antiquities dealer could easily explain why Diana and Bruce meet, but it isn't known how much we'll see her in this occupational setting. It's possible that her job could put her in contact with the eccentric billionaire Lex Luthor (Jesse Eisenberg) as well. Gal Gadot is currently shooting her stand alone Wonder Woman movie, which is set for release on June 23, 2017. We got our first sneak peek at this stand alone adventure last month, during The CW's half-hour special on this massive superhero universe. Last year a rumor surfaced that Wonder Woman will be set in three different time periods and settings. One of these settings is Diana's homeland of Themyscira, and it is rumored that the Italy portion of the shoot will be used for the Themyscira scenes. It was also recently confirmed that another setting is World War I, with the last setting being present day, which will connect the movie to her appearance in the upcoming Justice League Part 1. The Wonder Woman cast also includes Chris Pine as the title character's love interest, Steve Trevor, along with Ewen Bremner, Robin Wright, David Thewlis, Danny Huston, Elena Anaya, Lucy Davis and Saïd Taghmaoui. Connie Nielsen most recently signed on to play the title character's mother Hippolyta in Wonder Woman. While we wait for more details on both Batman v Superman: Dawn of Justice and Wonder Woman, take a look at this merchandising photo below.